We had an unexpected trip to Lawrence today to see Andy’s grandparents. His grandpa wasn’t doing well and we went to visit him. On a break from the nursing home, his grandma was showing off her new apartment and pulled out this picture. 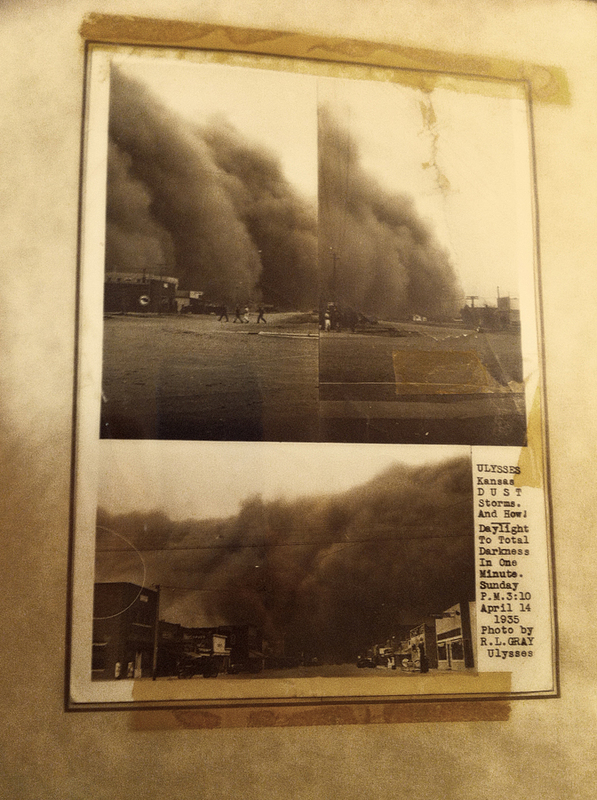 The caption reads: “Ulysses Kansas Dust Storms. And How! Daylight to total darkness in one minute. Sunday P.M. 3:10 April 14 April 14 1935 Photo by R.L. Gray Ulysses” I can’t imagine!